Life often involves making tough choices. Invest or not to invest? Save or splurge? What do I cook today with these limited set of ingredients lying around in my refrigerator? Yes, the last one's a total bummer. Our sources claim students are especially plagued by this issue. 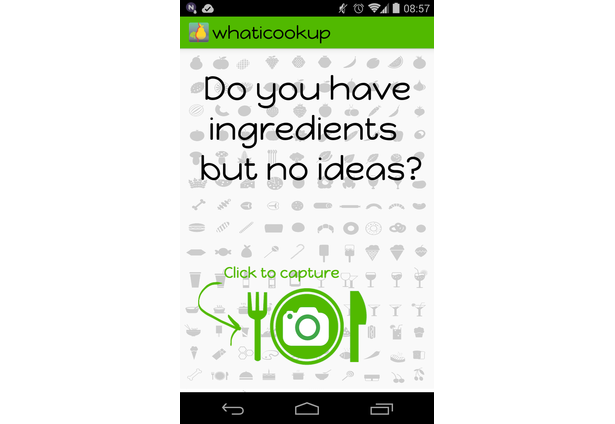 whaticookup seeks to solve this problem, with minimal hassles. When your options are limited, it still suggests you alternate healthier and cheaper options to picking up a cholesterol-filled burger or pizza. 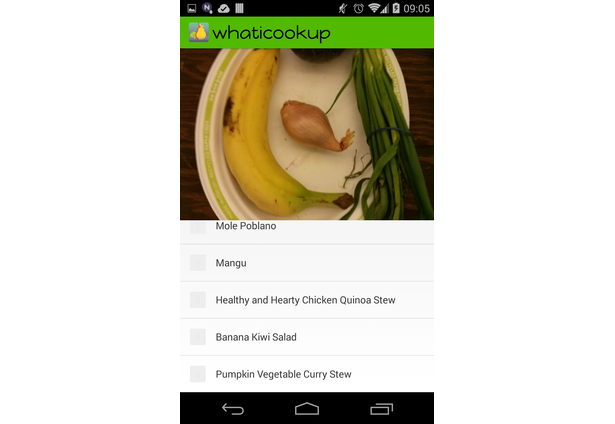 This android app requires the user to take a photo containing the vegetables available to him. The application then proceeds to identify vegetables using computer vision matching algorithms, perform a look-up of the dishes that can be cooked with it using the public API provided Yummly. Comments for this submission are closed. View the software in vcarbune's portfolio to continue the conversation.